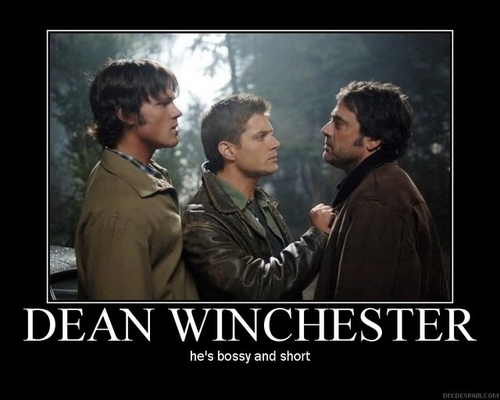 Dean is bossy and short : ). . Wallpaper and background images in the dean winchester club. This dean winchester photo contains traje de negocios and juego de negocio. There might also be boina verde, fuerzas especiales, soldado de élite, soldado de élite de boina verde, and fuerzas especiales. aww bless and he isn't even short...he just looks it between these two lol...; )he is bossy though!